The U.S. Department of Agriculture’s Animal Plant Health Inspection Service (APHIS) invites the public to review and comment on proposed changes to the National Poultry Improvement Plan (NPIP) Program Standards. The proposed updates would amend the Program Standards by establishing new biosecurity principles and updating some testing procedures. The public is invited to review and comment on this notice until March 15, 2017. After careful review of any comments we receive on the proposed updates, we will publish a second notice in the Federal Register announcing our decision. The National Poultry Improvement Plan (NPIP), also referred to below as “the Plan,” is a cooperative Federal-State-Industry mechanism for controlling certain poultry diseases. 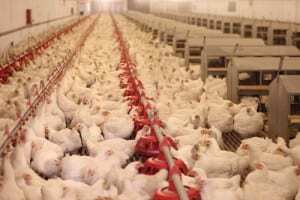 The Plan consists of a variety of programs intended to prevent and control poultry diseases. Participation in all Plan programs is voluntary, but breeding flocks, hatcheries, and dealers must first qualify as “U.S. Pullorum-Typhoid Clean” as a condition for participating in the other Plan programs. The Plan identifies States, flocks, hatcheries, dealers, and slaughter plants that meet certain disease control standards specified in the Plan’s various programs. As a result, customers can buy poultry that has tested clean of certain diseases or that has been produced under disease-prevention conditions. The regulations in 9 CFR parts 56, 145, 146, and 147 (referred to below as the regulations) contain the provisions of the Plan. The Animal and Plant Health Inspection Service (APHIS) of the U.S. Department of Agriculture (USDA) amends these provisions from time to time to incorporate new scientific information and technologies within the Plan. In the past, APHIS has updated the regulations once every 2 years, following the Biennial Plan Conference of the NPIP General Conference Committee. The NPIP General Conference Committee advises the Secretary on poultry health and represents cooperating State agencies and poultry industry members. During its meetings and Biennial Conferences, the Committee discusses significant poultry health issues and makes recommendations to improve the NPIP. However, while changes in diagnostic science, testing technology, and best practices for maintaining sanitation are continual, the rulemaking process can be lengthy. As a result, the regulations have, at times, become outdated. To remedy this problem, we determined that we needed a more flexible process for amending provisions of the Plan. On July 9, 2014, we published in the Federal Register (79 FR 38752-38768, Docket No. APHIS-2011-0101) a final rule (1) that, among other things, amended the regulations by removing tests and detailed testing procedures, as well as sanitation procedures, from part 147, and making these available in an NPIP Program Standards document. (2) The rule also amended the regulations to provide for the Program Standards document to be updated through the issuance of a notice in the Federal Register followed by a period of public comment. The latter change was intended to enable us to make the NPIP program more effective by allowing us to update some of the Plan provisions without the need for rulemaking. We are advising the public that we have prepared updates to the NPIP Program Standards document. The proposed updates would amend the Program Standards by establishing new standards for biosecurity principles. We are also proposing to amend the hemagglutination inhibition test procedures for Mycoplasma, clarify the laboratory procedure recommended for the bacteriological examination of Salmonella in birds, amend the laboratory procedure recommended for polymerase chain reaction (PCR) tests for Mycoplasma gallisepticum and M. synoviae, and add new diagnostic tests for Mycoplasma and Salmonella. Finally, we note that the Program Standards are currently divided into subparts in the same way the regulations are. We are proposing to change the use of the word “Subpart” to “Standard” in the Program Standards for ease of distinguishing between references to the regulations and the Program Standards. After reviewing any comments we receive on the proposed updates, we will publish a second notice in the Federal Register announcing our decision regarding the proposed changes. (1) To view the final rule and related documents, go to http://www.regulations.gov/#!docketDetail;D=APHIS-2011-0101. (2) This document may be viewed on the NPIP Web site at http://www.poultryimprovement.org/documents/ProgramStandardsAugust2014.pdf, or by writing to the Service at National Poultry Improvement Plan, APHIS, USDA, 1506 Klondike Road, Suite 101, Conyers, GA 30094.